Tiny Archives Project Quick Tips II: Could You F*^king Not? 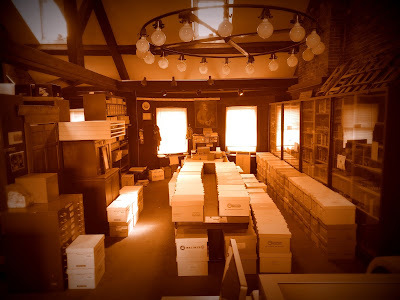 A how-to and DIY style blog for archivists, archives students, volunteer and the archives-curious. Learn how to tackle simple projects in preservation, collections processing, fundraising for archives, and archives management. It's an open forum here, too, so don't be shy! Share the Tiny Archives Projects from your big institution or in your solo work as a "Lone Arranger". 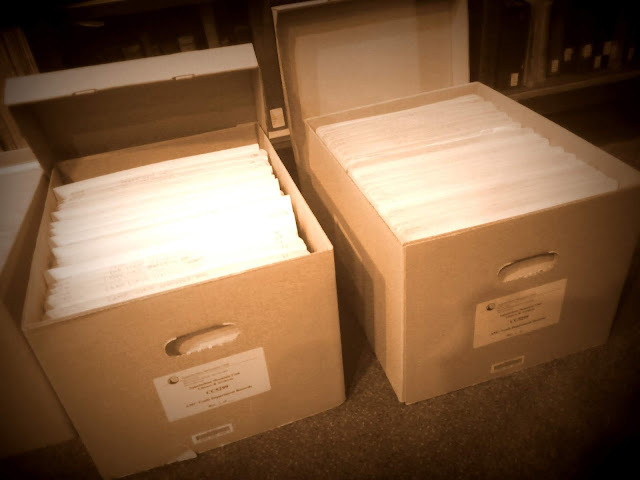 I have never worked or volunteered in an archive where I did not have to re-process collections, though most places do encourage you to “leave well enough alone.” In this post I continue with some “Quick Tips” on processing. Check here for the initial set of tips from last month! There’s a small mental leap to be made in processing. I can see it happen when I work with interns and they come to the place where not everything fits neatly together in a box. There are oversized ledgers with these letter sized folders! What to do? This happens a lot with things like chronological meeting minutes, written up at first in little notebooks, but then appearing as handsome cloth or leather bound tomes. They all ‘go together’ as a series, but can they live in harmony in a carton? Rule 1: If the shoe doesn’t fit, don’t embarrass yourself with those huge clogs just ‘cause they’re on sale and in style. No, really. Don’t force everything to stay in order by cramming it into a poorly sized container together. It never helps anything to be squished, “gently” folded over, or put together like puzzle pieces in order to make it work (all things I’ve seen). The ONLY exception I will make for this is when I have a collection that fills just one carton and it happens to have one thin folder of legal-size papers in a sea of letter-size folders. If it can fit comfortably on the one long side of the carton I’ll do it, but that is rare. Rule 2: Not all who wander are lost. So you have the scenario of five small notebooks of minutes in folders followed by the big, giant ledger followed by small notebooks again. It’s so pretty and logical when they all stay together, so let’s just file the whole lot in legal orientation in the carton, shall we? Don’t you even dare. Those first five items are folders 1.1 through 1.5 (for Box 1, Folder 1 through Box 1, Folder 5). The next normal sized folders start with 1.6. That ledger lives somewhere else, at an address like 4.1 or maybe even farther away in OB.6.3 (oversized box 6, item 3). It says so on the finding aid and that is okay. Although it’s fun to be all neat and tidy with perfectly sequential numbers in a series, things have to ‘live’ where they fit and will be comfortable. Rule 3: We don’t just fill out and print those separation sheets for fun, kids. Use them. Every. Single. Time. And note it on the finding aid when there are separated materials. If it doesn’t fit in the folder it goes in an oversize folder or box somewhere else and there is a paper trail to help you find it. What are your pet peeves when it comes to processing. Share them in the comments section below because we all know we could use a good gripe session from time to time. And hey! Need some cool Archivist swag to distinguish yourself? Visit my design shop on Zazzle and pick up a button, tote, travel mug or other item with this or another neat-o design on it, made just for us Archives folks! Wait. We're *gulp* Moving?!?! Part I.